Taking off: What Influences Traveller Motivations? Before travellers even begin looking at booking their next trip, they are already getting ideas from their environment. Expedia study reveals the key influences and motivations behind travel decision-making. The world tourism industry is worth around 2.5 trillion USD and it’s set to continue growth. Global mobility is on the up and as the culture of work shifts also, people make more opportunities to travel for work and pleasure. Whether it’s visiting family, a shopping spree, relaxing or just a short escape, behind the endless number of motivations there is a whole process of decision-making, which only gets more complex as the number of choices grows. Expedia Media Solutions, the division behind the world-famous travel brand, released a study exploring the motivations and influences affecting travellers’ decisions, with a special focus on their use of online resources. The study covers eight countries: Australia, France, Germany, UK, Canada, Japan, China, USA. One of the key findings reveals that before travellers even begin searching online they are likely to already be getting travel ideas from a variety of channels in their everyday environment. Generally, travellers do not have a destination in mind when they start thinking about a trip. Well over half of all nationalities either don’t have any idea or are trying to decide between two or more destinations. Of course, people’s location heavily influences their decision-making. For example, it comes as no surprise that Europeans (especially Germans, British and French) are the most flexible and are also the least decisive. On the other hand, Chinese who have high visa requirements for many countries, tend decide on a place well in advance. The indecision presents a window of opportunity for brands to connect, influence and importantly, play a helpful role in traveller’s planning process. 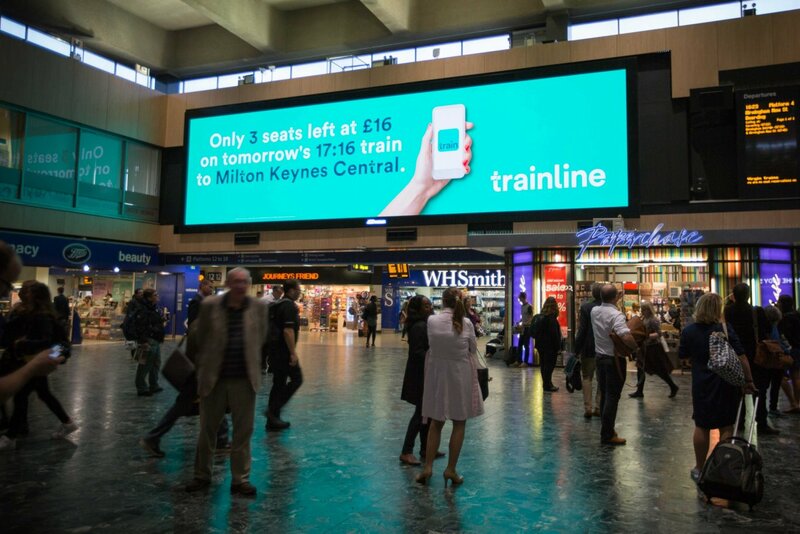 Increasingly, brands use digital and dynamic capabilities of OOH to communicate in the moment. For example, targeting Europeans prone to booking last minute with live information or last-minute discounts at the times and locations where audiences are most receptive. Interestingly, although a firm majority agrees that they look for the best value for money and have a budget in mind, when asked about their priorities, travellers placed activities and having unique and interesting experiences above price. In terms of travel goals, preferences vary widely; relaxing is top of the agenda for everyone apart from the Japanese, who prefer sight-seeing. Visiting family is particularly popular among Americans, Canadians and Australians. Somewhat disappointingly, a romantic getaway is low on the agenda for everyone. The results of the study align with our understanding of the general cultural shift in travel motivations – instead of routine vacations, travel is increasingly considered as being an integral part of people’s personal development. The findings indicate that travel brands must focus their messaging on demonstrating that they are in tune with their audience’s needs and beliefs. The brands that give a taste of a unique experience can win over the one that simply shares special offers. Most people say they need some help and inspiration when they first start to plan a holiday. The study reveals that this is particularly evident amongst the Chinese, meaning that they are the most open to ideas, closely followed by Canadians, Americans and British. Importantly, all nationalities generally agree that ads can be influential in their decision-making. When choosing media, tourism brands naturally turn to OOH to build a mass reach and high frequency at all stages of holiday planning. The resulting boost in awareness and consideration ensures that the destination, and by extension the brand, are top-of-mind when people start thinking about holidays. Whether inspiring, giving ideas or informing, travel brands must use their creative to demonstrate the understanding of the different aspirations and needs of each nationality. OOH messaging undeniably catches attention but the key to building engagement is customising OOH messaging to the unique priorities of different regions. Sample: 1,000 respondents from each country. Respondents must have booked online travel in the past year.